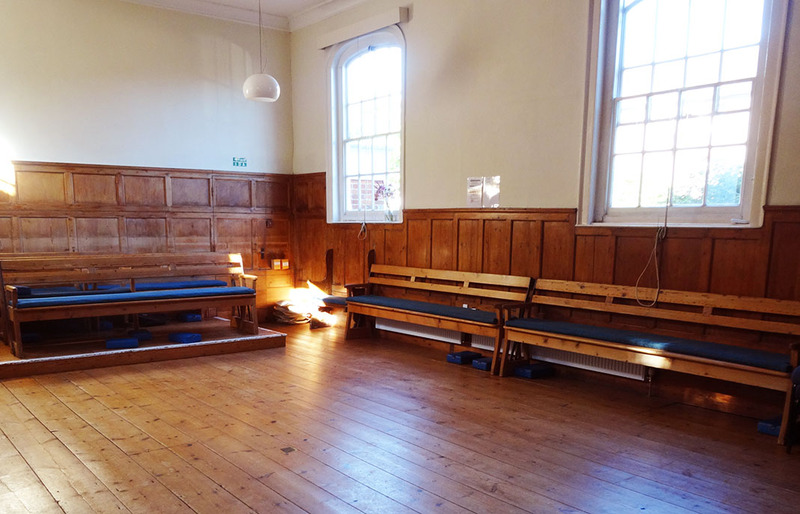 Lewes Quaker meeting house is available for hire. We have two affordable rooms in our historic building. The meeting house is in a central location, five minutes walk from the train station and close to shops and cafés in Lewes. We are working towards making our meeting house fully accessible to disabled people. This beautiful wood-panelled room can accommodate up to 60 people. It has a peaceful atmosphere and suits a variety of uses, from yoga to singing to small workshops. This room accommodates up to 40 people and has double doors onto our peaceful garden. This room also has access to a kitchen for serving light refreshments. Both rooms are £10 per hour (minimum two hours) per room. Please email quakermeetinghouselewes@gmail.com for more information about room hire. If you want to book a room, read and sign our terms and conditions [Word doc – opens in new tab] and return a booking form [Word doc – opens in new tab] and we’ll get back to you.